This form is for RMIT students to request bookings of the RMIT University Student Union managed rooms. Available spaces are listed below. This is a small meeting space at the RUSU offices in Building 57, equipped with a table and eight chairs. 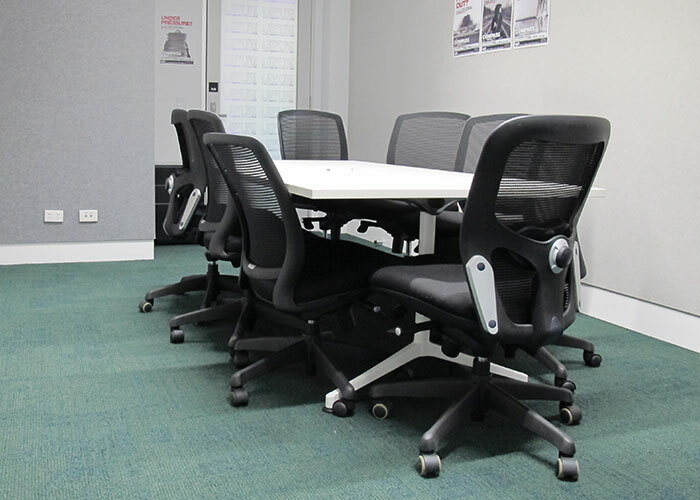 It’s ideal for club executive meetings and other small groups. This room is suitable for meetings, training sessions and small-scale social gatherings. The tables and chairs can be moved to the side of the room to create a small/medium-sized activity space. Up to 25 people (seated) or 30 people (unseated). Alcohol discouraged and only permitted by special arrangement. 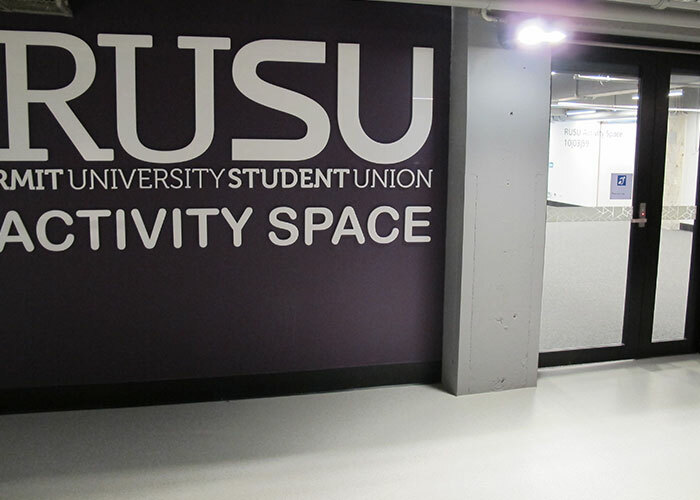 This Large Activity Space in Building 10 is ideal for student club social activities, large gatherings, cocktail evenings, movie nights and other non-academic events. 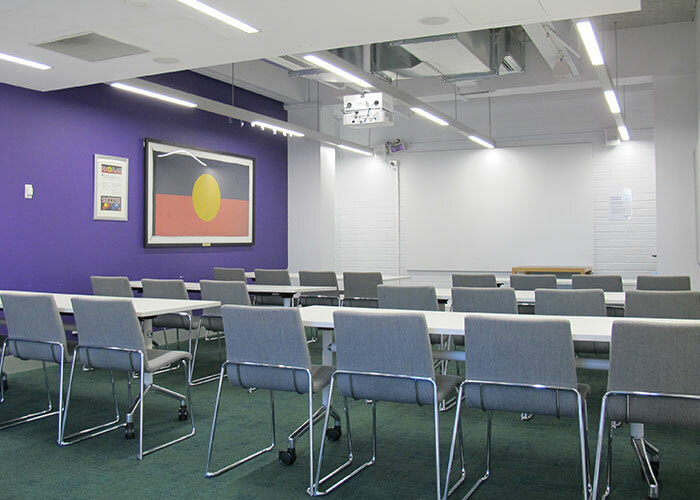 It can be set up with tables and chairs for training, meetings or meals, or the tables and chairs can be removed to create a large open space. This room has everything your student club needs for your next social gathering or formal event. Catered or pre-prepared food can be served on site, or heated in the microwaves. Food cannot be cooked or prepared in kitchenette. Events involving alcohol are permitted but must follow Responsible Service of Alcohol requirements and RMIT Security must be notified. RMIT may require you to pay for guards depending on the scale of the event. 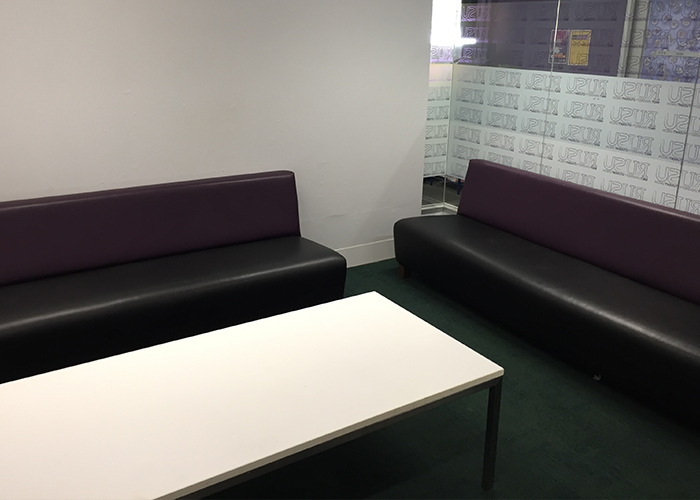 This is a small, informal lounge space near the RUSU offices in Building 57. It has three long lounges and a large low table. It’s ideal for club meetings, board games and other small groups.